There is a particular charm and unique atmosphere when you step into a historic property filled with intricate architecture exuding elegance. If you are lucky enough to own a listed property, then you would be more than used to visitors gazing at the exposed brickwork, delicately thatched roof and the vintage personality that the property naturally brings. While listed buildings are a timeless investment, they do come alongside their fair share of maintenance demands. Revamping your home is made somewhat trickier due to the strict rules owners must abide by. With this in mind, we have devised a guide to ten fantastic listed property renovation ideas; some of which require permission and others can be completed when you please. With the constant development of modern, new build homes, the demand for listed properties continues to rise. 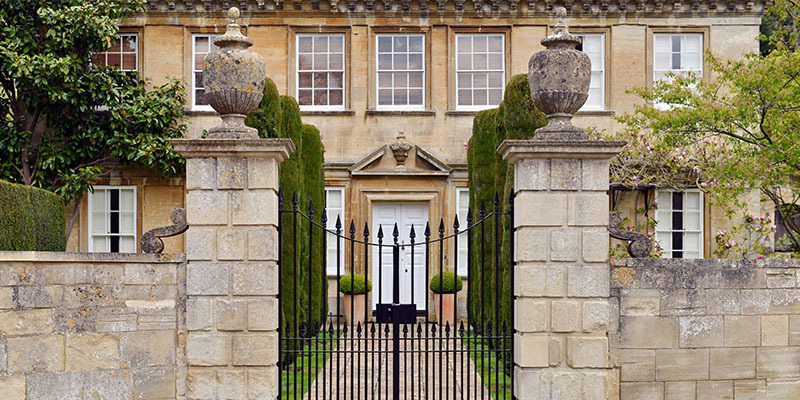 When searching for the perfect listed property, it is imperative to keep in mind that there is more than one category of listed buildings; all of which are decided by Historic England. Around 92% of listed properties fall into the Grade III category which relates to those that are seen as of ‘special interest’, making this the most popular form of listed home. Those that are seen with slightly more than special interest are classed as Grade II, and lastly, properties of outstanding architectural or historical interest are Grade I. When opting for a home that falls into one of the grades mentioned above, not only do you take on a stunning property, but also the responsibility to preserve each component to maintain its original condition. A large percentage of listed properties are built using brick and timber with a slate or tiled roof; all of which require regular maintenance. Although the strict rules regarding renovations on a listed property were briefly touched on during our introduction, we thought it was essential to expand further into the regulations. A listed property comes alongside various rules you must abide by, making modifications slightly less flexible. Any construction works that include an extension, alterations or the demolishment of parts of the property must have consent. Opting to continue with renovations without permission is classed as a criminal offence; it is considered as damaging historical and architectural interest. For example, refurbishing a room does not require consent; however, if new pipework must be added to the walls or floorboards, you must have permission. Building owners can apply for approval on the GOV.UK website. Luckily, due to the plethora of interior and exterior design ideas now available within just a few clicks, those who own a listed property are still free to renovate their home and make new additions. Take a look through our top ten renovation ideas for inspiration? One of the most desirable features of a listed property is the classical fireplace forming the focal point of any room. There is nothing quite like a blazing coal fire on a frosty Winter’s afternoon, so why not bring back the charm of your fireplace and transform your outdated centrepiece? It is your choice as to whether you opt for replacing your fireplace with a modernised appearance or simply repaint the original mouldings. For those considering a full replacement, one of the biggest design trends is the use of marble, which is ideal for adding a contemporary touch to a newly decorated living room or bedroom. We love the gorgeous range of marble fireplaces available on Direct Fireplaces. On the other hand, if you’re looking for a more cost-effective alternative, then with a little DIY and elbow grease, it becomes easy to revamp your current fireplace. Vintage fireplaces are filled with decorating mouldings unique to your property, so use them to your advantage. Real Homes have a super easy to follow guide on how to strip and paint mouldings! The kitchen is often seen as the heart of the home, ideal for socialising and spending quality time as a family. Luckily for those living in a listed property, you are almost guaranteed to have a large, open plan kitchen diner perfect for spending the evenings relaxing in. With the constant introduction of new interior design trends, it is easy for your kitchen to appear a little dated. Although the kitchen is one of the only rooms in the home that is used on a daily basis, it is often left to the end of the ‘to do’ list to update. When searching for kitchen renovation ideas, keep in mind that you do not have to replace all fittings to make a difference; even the smallest of changes can help to achieve a modern appearance. Replacing countertops, cabinet doors and also dining furniture can make a significant impact on your kitchen. For more information on inexpensive ways to update your kitchen, take a look at Good Housekeeping. You would be surprised how much of an impact replacing old windows and doors can have on the overall appearance of a property. Particularly on a historic-style property, the large windows and doors are vital for building personality. While, unfortunately, it is inevitable that at some point the original fittings will begin to deteriorate, there is now a tonne of companies capable of fitting vintage-style replacements. With years of experience providing our clients with windows in Milton Keynes and surrounding areas, we understand the importance of ensuring that all replacements fit the overall theme of the property. Listed properties are always best suited to a sliding sash or Georgian style window as opposed to a modern casement style. As long as you are not adding to the overall footprint of your property, you are free to develop any existing space without permission; making a garage conversion an ideal renovation. While many homeowners intend to use their garage to store their vehicle, it often quickly turns into a storage solution for unused clutter. Opting to clear your garage and transform the space into a room of your choice is an ideal, low-cost solution for a family that is beginning to outgrow their existing space, as opposed to building an extension or moving home. The conversion possibilities when renovating a garage are endless. Whether you go down the route of a guest bedroom and additional living room or something a little more quirky such as playroom, home cinema or gym, there really is no limit in the room type you opt for. Homedit has put together a fantastic list of garage conversion ideas which is most definitely worth a browse! For many homeowners, the garden is their own little hidden treasure. It is the perfect hotspot to relax soaking up the rare British sun and is made even better when you have a stunning historic property to gaze over; so, use this space to your advantage! One of the most popular garden design trends is swapping your large green area for rows of rustic decking with the addition of a wooden pergola. A pergola is ideal for providing shade and shelter in the garden, without stopping you from enjoying the sunshine. Many keen gardeners opt for investing in the addition of a chic dining garden furniture featuring comfortable sofa-style chairs and an easy to clean table; perfect for throwing BBQ’s. Wayfair has an excellent variety of garden sofa sets to meet all colour themes. However, if you’re set to decide on the theme of your newly renovated garden, not to worry, we suggest taking a browse through the great boards on Pinterest! If you’re hoping to add a modern touch to your listed property, without losing the vintage charm, then you will adore the idea of a mezzanine. A mezzanine is an additional floor that is added to a section of your room, creating the appearance of an indoor balcony able to overlook your existing space below. Building a mezzanine is ideal if you are hoping to add a small, extra room to your home without expanding the floor plan of your property. Those who consider a mezzanine must keep in mind that an extended height space will be required to achieve two rooms reasonable in height. Listed homes that were once, for example, a barn or church would be the perfect candidate for a mezzanine. Similarly to a garage conversion, there are no limitations to how you choose to utilise your new mezzanine. Many mezzanines are built overlooking the living room or kitchen, making it the ideal location for study or ‘quiet zone’ for those who aim to create a tranquil haven to get a little peace and quiet. Real Homes have put together a helpful guide on how to add a mezzanine to your building. Listed homes come alongside an array of one-of-a-kind features, one of the main being rustic stone flooring. Just like any other component of the home, stone flooring withstands its fair share of wear and tear, which means that over time, it will begin to look somewhat dated. As opposed to switching your country home-style stone flooring to a more contemporary tile or carpet, instead, give them a new lease of life. Not only will this save a considerable amount of time and money, but also allow you to maintain the original components of your historic home. Old stone flooring can quickly be brought back to life with a little cleaning and maintenance. Using hydraulic lime mortar, any cracks or joints between stone can be repaired; this is particularly useful if you’ve noticed that the stones have started to rock when walked over. When cleaning stone tiling, avoid any harsh products including acids or ammonia and steer clean from using any abrasive materials as they will scratch the surface. Instead, opt for soaking a microfibre towel in a bowl of warm water mixed with a neutral pH all-purpose-cleaner. For a full guide on how to clean natural flooring, take a look at Tidy.com. Owning a listed property is a privilege. The unique architecture and rustic charm are guaranteed to make your home stand out from the crowd before visitors even get the opportunity to step inside. While there are various different rules and regulations in regards to the alterations that you are permitted to make on a listed building, do not let this put you off transforming the space into the home of your dreams. There are tonnes of different stunning renovations you can make to your property which are not only capable of injecting personality but also improving your way of life. Whether you opt for building a new mezzanine or simply replace your existing windows, even the smallest of updates will make a positive impact.  If you are considering updating the outside of your property, then please feel free to contact Crown Windows. We specialise in providing windows in Buckingham and surrounding areas for both modern and traditional homes!